Directors do not have a duty to ensure that the company does not trade at a loss but they are at risk of personal liability or subsequent disqualification from acting as a director if they allow the company to trade whilst insolvent. Once a company is insolvent the directors owe a duty to the company to take care to protect the interests of its creditors above the interests of its members. The duty is enforceable in the name of the company by a liquidator, administrator or administrative receiver and means that the directors cannot assume that any shareholder/member ratification or sanction for actions damaging the interests of creditors will relieve them of liability. In addition to the general duty to creditors when a company is insolvent there are two other areas of concern for the directors of companies in financial difficulties. These are fraudulent trading and wrongful trading. Each of these are dealt with in turn below. If in the course of the winding-up or administration of a company it appears that any business of the Company has been carried on with intent to defraud creditors of the Company or creditors of any other person or for any fraudulent purpose the Court may, on the application of the liquidator or administrator of the company declare that any persons who are knowingly parties to the carrying on of the business in such manner are liable to make such contributions (if any) to the Company’s assets as the Court thinks proper. Dishonesty is an essential element in proving fraudulent trading so there must either be an intent to defraud or a reckless indifference as to whether or not creditors are defrauded. The most common example is where directors continue to incur credit when they know there is little or no chance of that credit being repaid. It should be noted that this provision applies to “any persons”, not just directors, who were knowingly parties to the carrying on of the business in question. There is no defence of taking steps to minimise loss to creditors and the offence attracts a criminal penalty of 7 years imprisonment or an unlimited fine, or both, as well as civil liability. at some time before the commencement of the winding-up or administration of the company the person to be held liable was a director and either knew, or ought to have concluded that there was no reasonable prospect that the company would avoid going into insolvent liquidation or administration. In any case when these conditions are satisfied the Court may, on the application of the liquidator or administrator, declare that such person is liable to make such a contribution to the company’s assets as the Court thinks proper unless it is satisfied that after the date of such actual or constructive knowledge the person took every step with a view to minimising the potential loss to the company’s creditors as he ought to have taken (assuming him to have known that there was no reasonable prospect that the company would avoid going into insolvent liquidation or administration). the general knowledge, skill and experience that that director actually has. It should be noted that this provision does not merely cover “trading” activity. Any kind of act, or failure to act, unless it minimises losses to creditors, may attract a liability under the section. A transaction will be regarded as being at an undervalue if the company does not receive any consideration for the transaction or the value of the consideration received is significantly less than the value of the consideration provided. the company was unable to pay its debts at the time or become unable to pay its debts as a consequence of the transaction (this is presumed in the event the transaction was entered into with a “connected person”). There is a potential defence to a transaction at an undervalue if the Court is satisfied that the transactions was entered into in good faith for the purposes of carrying on business and there were reasonable grounds for believing that the transaction would benefit the company. If the Court finds that there was a transaction at an undervalue, it may make an order restoring the position to what it would have been had the company not entered into that transaction. A preference occurs where a company does anything, or allows anything to be done, which puts one of the company’s creditors, sureties or guarantors into a better position than he would have been in if that act had not been done. the company was influenced by a desire to put the creditor, surety or guarantor into a better position (such desire being assumed where the transaction was entered into with a “connected person”). If the Court finds that there has been a preference, it may make an order restoring the position to what it would have been had the company not given the preference. Transactions with or payment to a shareholder may also be regarded as an unlawful distribution of the company’s assets. Assets may be distributed to a company’s members only if there are profits available for this purpose. If there are insufficient distributable reserves, a transaction with or payment to a shareholder could constitute an unlawful distribution of capital. A director of an insolvent company is under a duty to have regard to the interests of creditors. There is accordingly a risk that any gratuitous distribution of assets will be a breach of that duty. Such a breach cannot be waived by shareholders. This will not be applicable in this case as the Company is a company limited by guarantee and therefore has no shareholders. protecting the interests of persons who are victims of the transaction. In addition to, or as a result of the above, directors can find themselves disqualified under the Companies Directors Disqualification Act 1986. Disqualification orders can be made for any number of reasons where unfitness is shown and that it is deemed to be in the public interest to stop those persons being able to trade with the benefit of limited liability. Grounds for unfitness include situations where the director allows the company to continue trading whilst insolvent (and in so doing took unwarranted risks with creditors’ money); breach of duty, misapplication of company property; responsibility for entering into a transaction liable to be set aside and failure to comply with accounting and regulatory requirements of the Companies Act 2006. The Court can disqualify a person from acting as a director of a company for between 2 and 15 years and a public register of disqualified directors is kept. the termination of other commercial contracts and agreements (such as joint ventures) may be automatically triggered. It is therefore important for the directors of the Company to be aware of the warning signs of insolvency and to be certain that the Company does not fail them when going through a difficult period. In order to assess properly the various alternatives open to the Company, directors should ensure that they have access to proper financial and legal advice. It may be essential to involve auditors or independent financial advisers in discussions on the financial position of the Company. The Company may have existing advisers who should be involved in this and the formulation of a strategy to avoid insolvency. The Company’s lawyers should be involved in order to consider whether any proposed transaction could be vulnerable as a preference or for some other reason (see section 3 above). It may be appropriate for the Company to retain an Insolvency Practitioner to advise the Company on the alternative strategies. The Directors may wish to take advice individually in view of the personal risks involved in management of a company approaching insolvency. The Directors should be able to regularly assess the Company’s financial position by way of the preparation of regular balance sheets, cash flow projections and other current financial information. All Directors should be kept informed of the financial position and prospects for the Company. further bank finance (possibly with a grant of security). an informal arrangement with major creditors, or scheme of arrangement or voluntary arrangement. It is important that this strategy has the support of the board (the full board if possible), that its viability is reviewed by appropriate advisers, and that its implementation is fully monitored. Provided the Directors are satisfied that the current strategy is reasonable and that it offers a realistic solution to the Company’s financial problems, then the Board is entitled to pursue this without taking more immediate steps to protect the company’s creditors. Where appropriate, the financial advisers and lawyers should be asked to provide assistance in preparing the strategy paper and confirming that the strategy has a reasonable prospect of success. Board meetings should be held at regular scheduled intervals. All the directors should endeavour to be present in person. Detailed minutes should be kept of all meetings and circulated in a timely manner. Additional meetings should be called as and when new significant events occur. Briefing papers should be circulated prior to all such meetings to facilitate an informed discussion on the matters in hand. 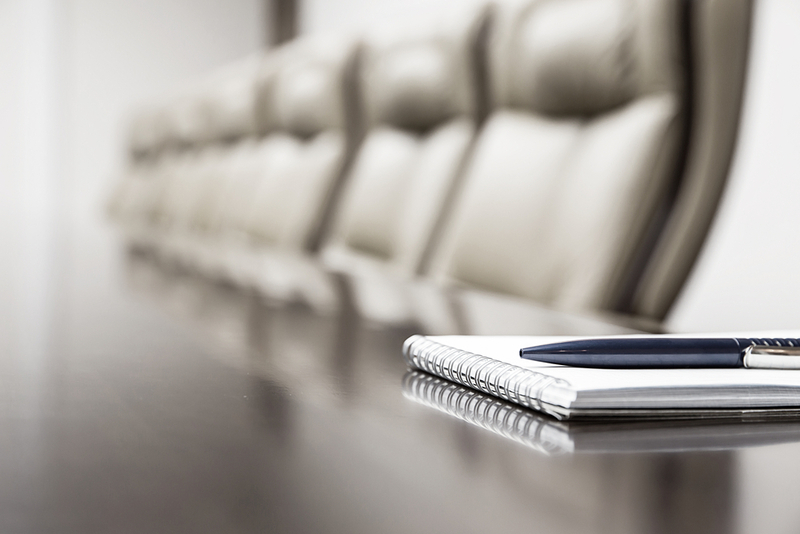 Absent directors should be informed as soon as possible of critical decisions taken at board meetings. The question may arise as to whether, in valuing the Company’s assets, the Directors are still entitled to assume a going concern valuation, rather than valuation on a break-up basis. If the Directors are satisfied there is a reasonable prospect of avoiding insolvent liquidation, the Directors may be entitled to make valuations on a realistic going concern basis. However, for assets which are to be sold, the valuation should be the price which may realistically be achieved on sale. Where assets are to be retained, the Directors may make a going concern valuation but need to be aware of the extent to which current market conditions may have operated to reduce the value of assets as stated in the last statutory accounts. Discussions with the Company’s accountants may be helpful on this point. Information to be released to creditors should be carefully discussed with, and in appropriate circumstances presented by, the Company’s advisers. Where the strategy to be implemented requires creditors’ support a careful and clear presentation is required. and if there is any possibility of a breach, to ensure that appropriate action is taken. On this website you will find a summary of the insolvency procedures available to the Directors. These will need to be reconsidered when (and if) you have confirmed that the Company is insolvent. We can provide more detailed advice at that time, but it is perhaps appropriate for you to have a general understanding of these at this time. Please consider the options carefully, but in the first instance the key point to get to grips with is whether or not the Company is likely to remain solvent. If you require any advice in relation to the Company’s position specifically, please do not hesitate to contact MB Insolvency.